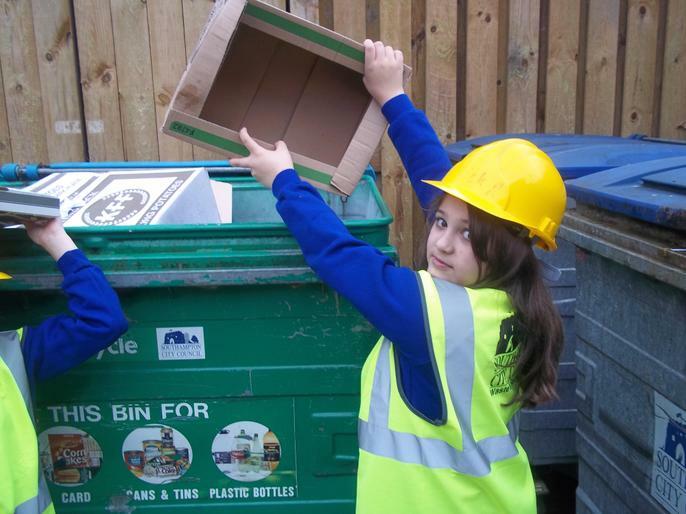 When Evie (now in year 6) won the Southampton City School's competition for a logo for School's Recycling, part of the prize was to see her design on all School's Recycling advertising. So now here it is. Click the image to see it on the Southampton City Website too. 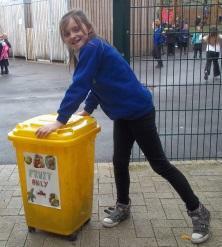 The ECO Committee were stars of the Assembly "The Paper Trail". They showed how paper starts in the forest and ends in our classrooms. An amazing story of "chopped down trees" and "energy usage". 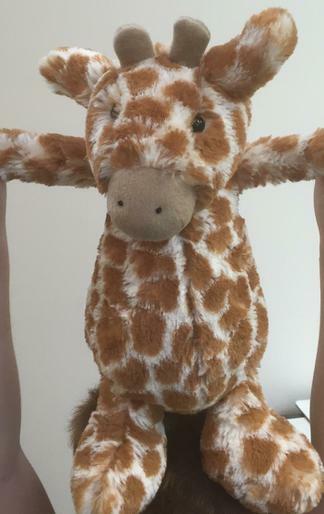 and they introduced Kit and Caboodle our new classroom ECO mascots. 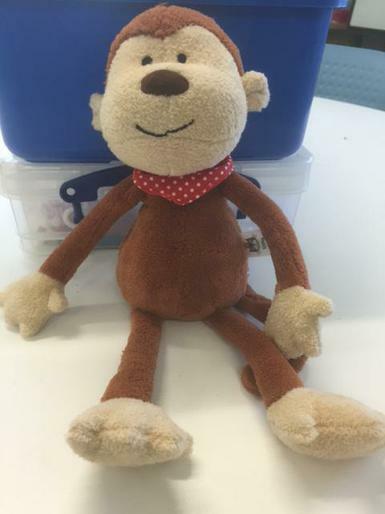 Kindly donated by Kit and Caboodle in Romsey. 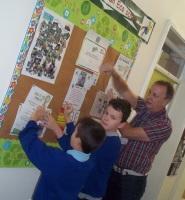 The ECO Committee met to decide upon the new ECO code. They came with ideas from their classes and voted for the top 6. 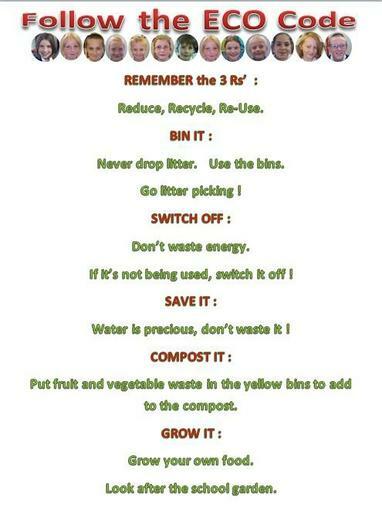 Here is the poster that will be seen around the school showing our new ECO code. 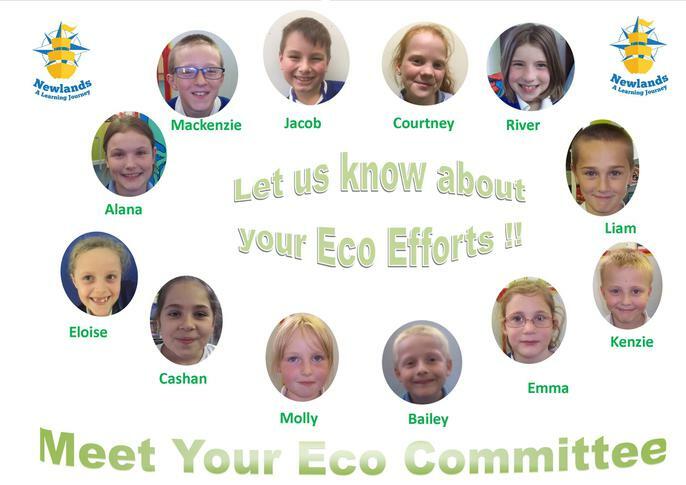 The first meeting of the ECO Committee was held today. 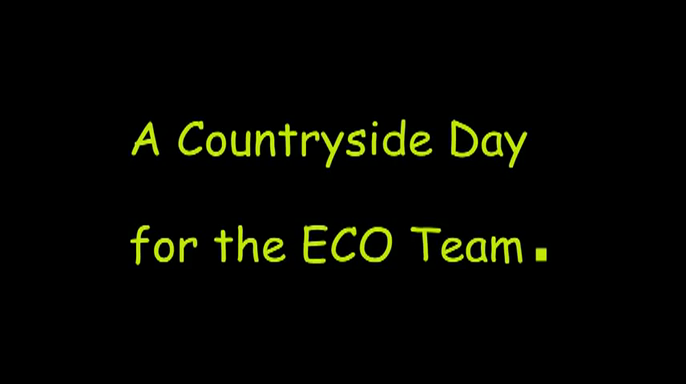 The Committee, one child from each class, will return to their classes and ask for ideas for our new ECO Code. 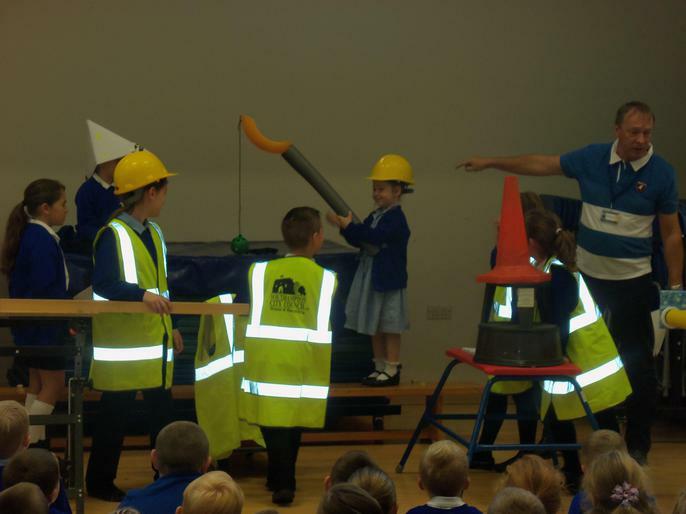 Our Special ECO Assembly was brilliant ! We performed a play about an Island that had a rubbish problem. We are in the newspaper ! 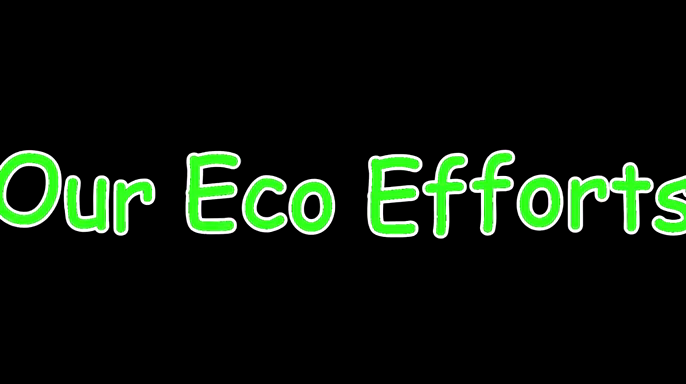 2014 was a year of Eco Projects and lots of Eco Success. 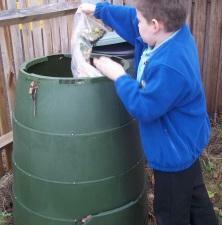 As a Silver Eco School we must keep up our good work. 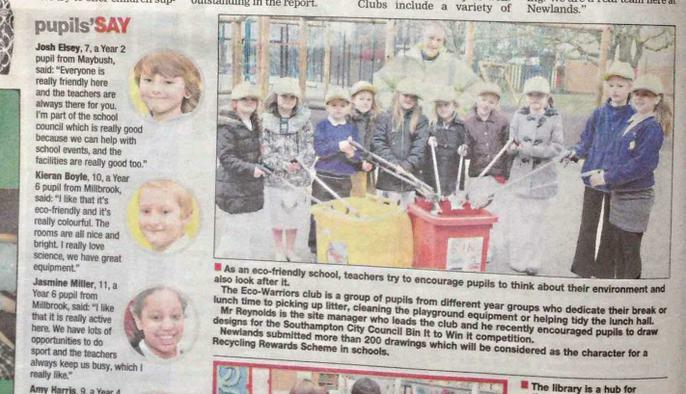 Southampton City Council has asked us to pledge our committment to continue with our Eco work and we have entered the "Bin It To Win It" competition. Keep to the paths to protect grass and do not run! Last one out of the room turn the lights off. Rag Bag To find out more about Rag Bag and why we are helping towards the cause. ECO Pod More information about recycling and ECO at home and school. 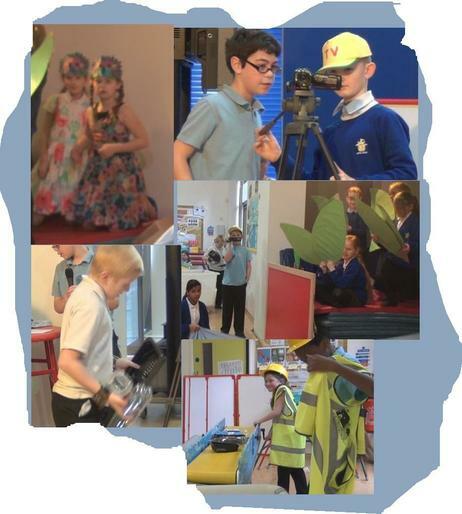 This film is part 1 of 2 made to show children why its important to save energy. 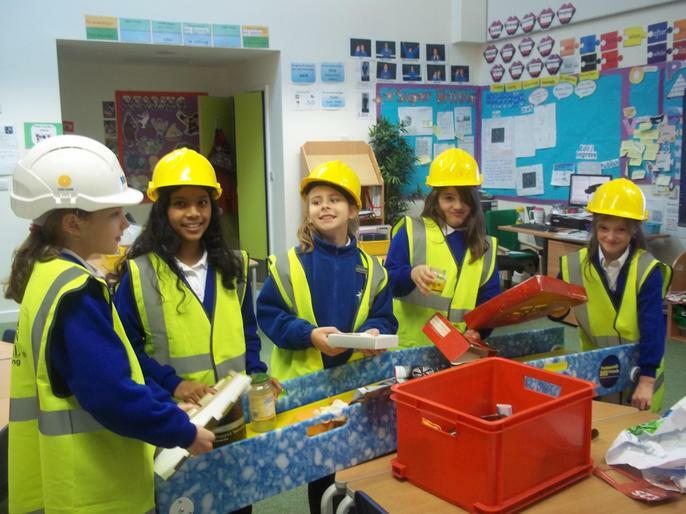 It was developed to celebrate Switch Off Fortnight, a campaign run by EDF Energy's education programme the Pod. The film was made for us by Wastebuster, with the help of our friends at the Met Office who provided the science and features Jane Horrocks (the voice of Poogle).